No matter where in Arkansas you choose to retire or relocate, there’s a guaranteed adventure around every corner. Here, we’ve compiled a list of 10 of our favorites that run the gamut from quirky to quintessential. No matter where in Arkansas you choose to retire or relocate, there’s a guaranteed adventure around every corner. Here, we’ve compiled a list of 10 of our favorites that run the gamut from quirky to quintessential. They’re in no particular order, and their inclusion doesn’t mean they rank higher than activities that don’t appear here — activities like sampling wine in Altus or stargazing atop Mount Magazine, the state’s highest point. Arkansas just offers too many great adventures to list them all! Find out more about these adventures and others at Arkansas.com. 1. Float Down the Buffalo River. 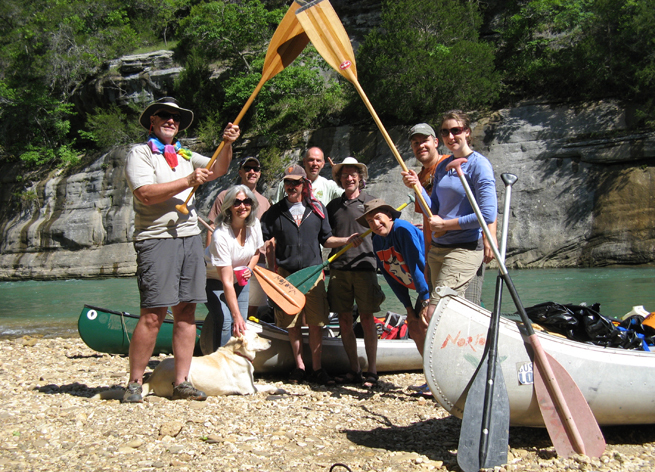 For those seeking a little one-on-one with nature, a leisurely ride down the Buffalo National River will fit the bill. Located just off Scenic Byway 7 near the town of Jasper, the 150-mile Buffalo River winds through the Arkansas Ozarks, flowing into small rapids and calm pools before emptying into the White River. The Buffalo’s beauty and mild manner make it a popular destination for canoeing and fishing, and the 95,000 acres of public land surrounding the river offer campgrounds, cabins and other lodging, as well as springs, caves, waterfalls, natural bridges, and walking and hiking trails. 2. Check Out Crystal Bridges Museum of American Art. 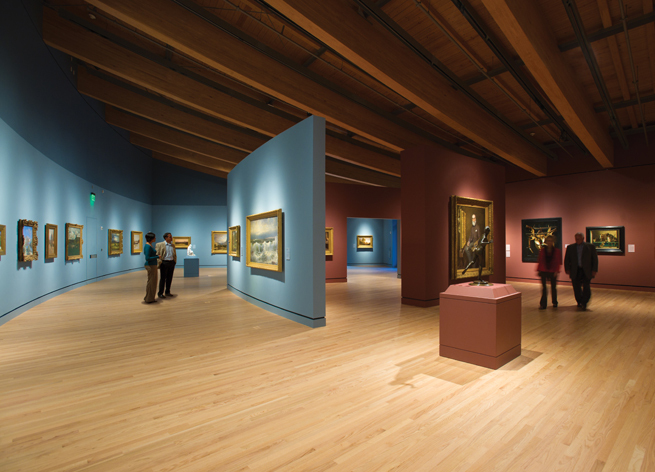 Located on 120 acres of Ozark woodlands in Bentonville, Crystal Bridges Museum of American Art is one of the nation’s premier art institutions dedicated solely to American art and artists. The museum’s galleries house a massive collection of permanent and temporary exhibits of American artworks from the Colonial era to modern times, including notable works by Norman Rockwell, John Koch, Wayne Thiebaud, Roy Lichtenstein, Tom Uttech and Andy Warhol, among others. It’s a must-see! Envisioned by Walmart heiress Alice Walton and named for the nearby Crystal Spring, the museum’s architecture is inspired by its picturesque surroundings and aimed at enhancing and protecting the natural beauty of the site. More than 3 miles of sculpture and walking trails link the museum’s forested park and gardens to downtown Bentonville. 3. Walk, Jog or Bike the Arkansas River Trail. Considered to be one of the best bicycle tours in Arkansas, the Arkansas River Trail is utilized by an estimated 3,000 people on a typical weekend who walk, run and bike the trail. The 17-mile loop of road and paved trail runs from Riverfront Park in downtown Little Rock to the Big Dam Bridge in west Little Rock, where it traverses the river to North Little Rock, passing key landmarks and breathtaking scenery and wildlife along the way. The trail is accessible from both sides of the river and almost anywhere along the route. Two new bridges are also part of the trail, adding even more adventure and convenience — the Two Rivers Park Bridge in west Little Rock and the Clinton Presidential Park Bridge, or Rock Island Bridge, near downtown Little Rock’s Clinton Presidential Center. Experience all the trail has to offer by renting a bicycle from Fike’s Bikes or Bobby’s Bike Hike. A variety of different bike types are available for rent, and guided tours are also offered. Fike’s has locations on both sides of the river, including River Trail Station in North Little Rock and the Peabody Hotel in Little Rock. 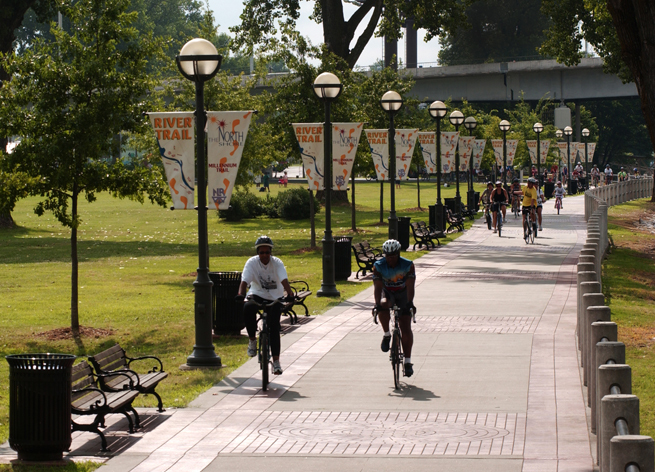 Bobby’s Bike Hike is located in downtown Little Rock’s River Market Pavilion. 4. Cruise the Great River Road. If you need a good excuse to rent a convertible, here it is. Named a “Southern Travel Treasure” by AAA’s Southern Traveler magazine, the 363-mile Arkansas Great River Road is a National Scenic Byway that runs parallel to the Mississippi River in Eastern Arkansas. The road begins in Blytheville and winds down through Osceola, West Memphis, Helena-West Helena, DeWitt, Dumas, Lake Village and Eudora before ending at the Louisiana state line at the very southeast corner of the state. Gaze at expansive rice, cotton, wheat and soybean fields, as well as swamps, bayous and the oxbow lakes created by the Mississippi River as it changed its course. Along the way, stop to visit museums, monuments and any of six state parks that highlight Delta heritage and history. 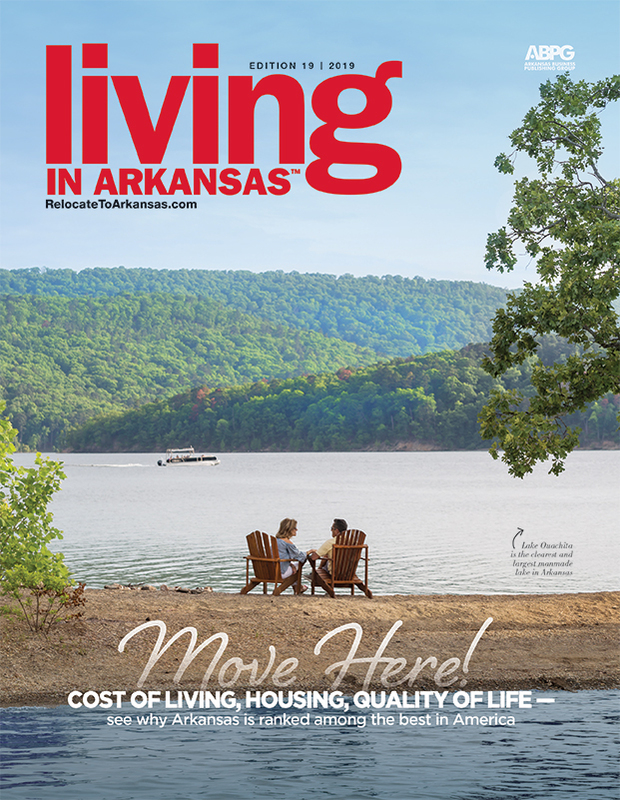 Brochures and maps are available at towns along the drive and at the State Welcome Centers at Blytheville, Helena-West Helena and Lake Village. The Arkansas Delta is also a prime location for hunting, fishing and bird watching. Ask any local for details; they’ll point you in the right direction. 5. Take a Bite Out of Arkansas’s Food Festivals. The Natural State is big on its cuisine and celebrates this fact with numerous food festivals throughout the year in all corners of the state. 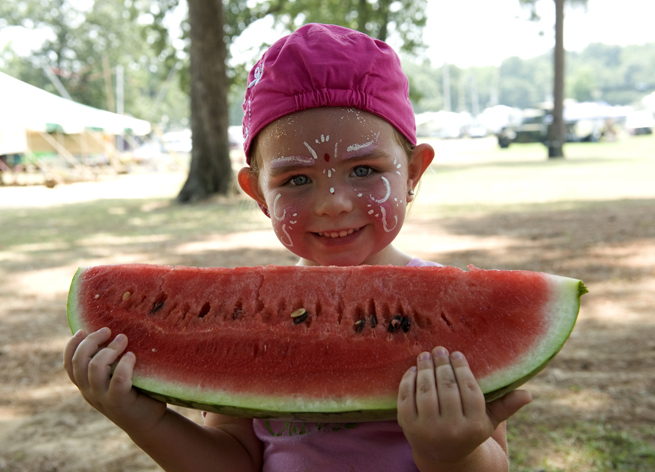 Check out Little Rock’s annual Greek Food Fest, the Picklefest in Atkins and the World’s Championship Steak Cook-Off in Magnolia, all held in May; Stop by the Bradley County Pink Tomato Festival and dig into some Southern-cooked purplehull peas at Emerson’s Purplehull Pea Festival in June; Sip some Arkansas wine at the Altus Grape Fest in July; And bite into a sweet, juicy melon at Hope and Cave City’s annual watermelon festivals in August. No matter what type of food you like – from barbecue and chili, to peaches and peas – Arkansas has a food festival you’ll enjoy. Let’s eat! 6. Chug Along the Arkansas & Missouri Railroad. Step back in time and take a ride on the Arkansas & Missouri Railroad in one of its beautifully refurbished antique passenger or parlor coaches. 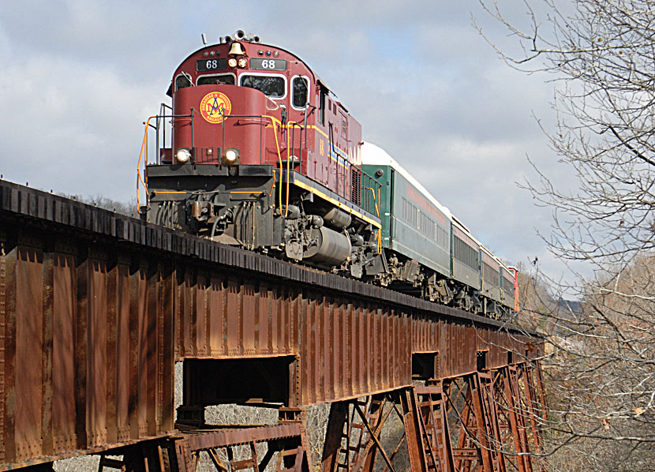 Established in 1896, the A&M Railroad meanders over tall trestles and through a quarter-mile tunnel to the top of the scenic Boston Mountains and into the historic Arkansas River Basin. Jovial conductors enhance the experience with tales about the area’s rich history, while tending to passengers’ needs. Rides depart from Fort Smith, Springdale and Van Buren. 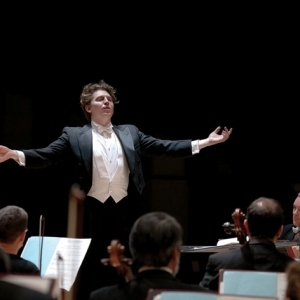 Adult tickets begin around $40; senior citizens and active or retired military personnel receive a discount. 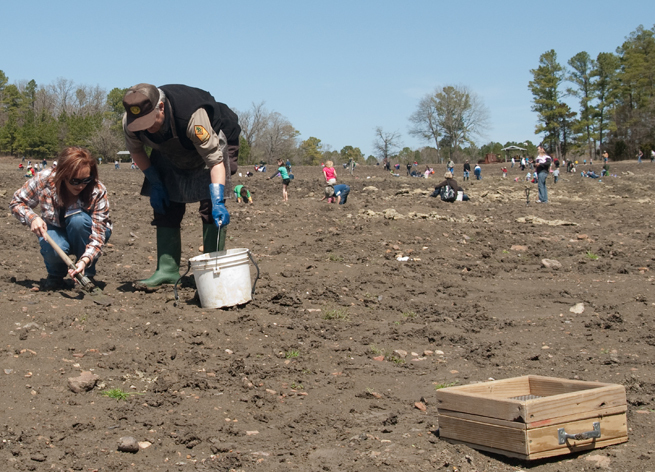 One of the gems in Arkansas’s crown is Crater of Diamonds State Park, the only diamond-producing site in the world that is open to the public. The largest diamond ever found in North America – at 40.23 carats – was discovered here. For a small rental fee, the park provides all the tools necessary to prospect in its 38-acre diamond search area. The park’s “finders, keepers” policy ensures that anything you unearth is yours to keep, regardless of value. Another popular prospecting destination is Wegner Quartz Crystal Mines, although diamonds aren’t the draw here — quartz crystals and other gemstones are. Visitors can choose to dig from one of two mines: the Phantom Mine, which is home to collectible “phantom crystals,” which are clear with manganese inclusions, or the larger Crystal Forest Mine, which covers 40 acres and produces gem-quality clear quartz crystals. 8. Get Down at the King Biscuit Blues Festival. Held annually for three days in October, the King Biscuit Blues Festival takes place in historic downtown Helena-West Helena on the banks of the Mississippi River. 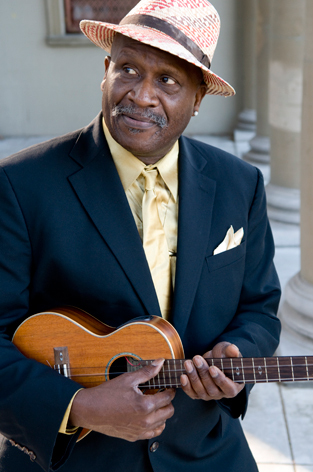 Each year, tens of thousands of people flood downtown Helena-West Helena to hear the soulful tunes of notable blues musicians like B. B. King, Taj Mahal and Dr. John and the Lower 911. Since its inception in 1986, King Biscuit has grown to include three stages and additional activities, including the Kenneth Freemyer 5K, the Blues in Schools program and the Tour da’ Delta Bicycle Tour. Check the website for the current lineup. 9. Relax at Garvan Woodland Gardens. 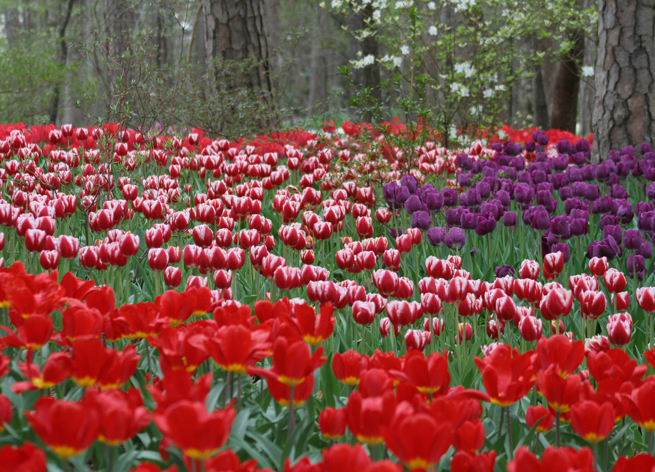 Nestled in the Ouachita Mountains on a peninsula in Lake Hamilton, the 210-acre Garvan Woodland Gardens is a botanical retreat. Philanthropist Verna Cook Garvan began the gardens several decades ago, before donating them to the University of Arkansas School of Architecture as a tribute to natural preservation. Formally opened in 2002, one of the highlights of the garden is the architecture, inspired by Arkansas native and renowned architect E. Fay Jones. Holding the belief that architecture should reflect and fit within the natural beauty surrounding it, Jones designed the Garvan Pavilion, which serves as the garden’s centerpiece. The gardens are open all year except January. Lectures and special events are scheduled year-round, including the popular Festival of Lights, which illuminates the garden with almost a million twinkling lights during much of November and all of December. 10. Visit the Clinton Presidential Center. Designed to tell the story of how a young man from Hope grew up to become the 42nd president of the United States, the 148,000-square-foot Clinton Presidential Center encompasses a museum, presidential archives and educational and research facilities. 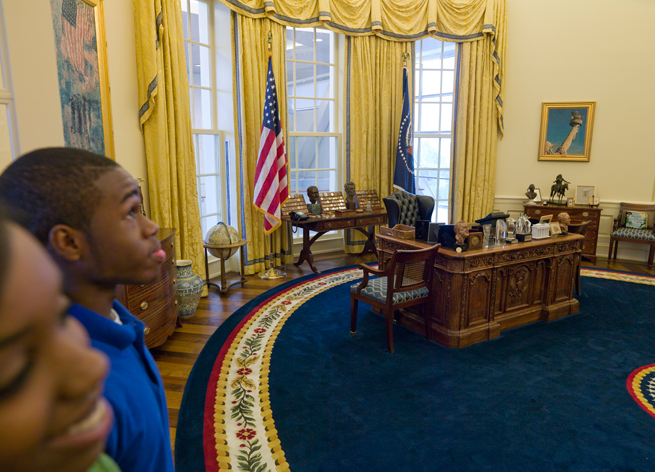 Must-see permanent exhibits include full-scale replicas of the Oval Office and the Cabinet Room, decorated exactly the way they were during Clinton’s time in office. There’s also a 110-foot timeline, complete with books filled with Clinton’s presidential schedules for almost 3,000 days of his term. A steady stream of visiting exhibits comes through the center each year as well. Recent exhibits include “Nathan Sawaya’s Art of the Brick” and “Play Ball! The St. Louis Cardinals,” which featured more than 100 pieces of St. Louis Cardinals memorabilia.